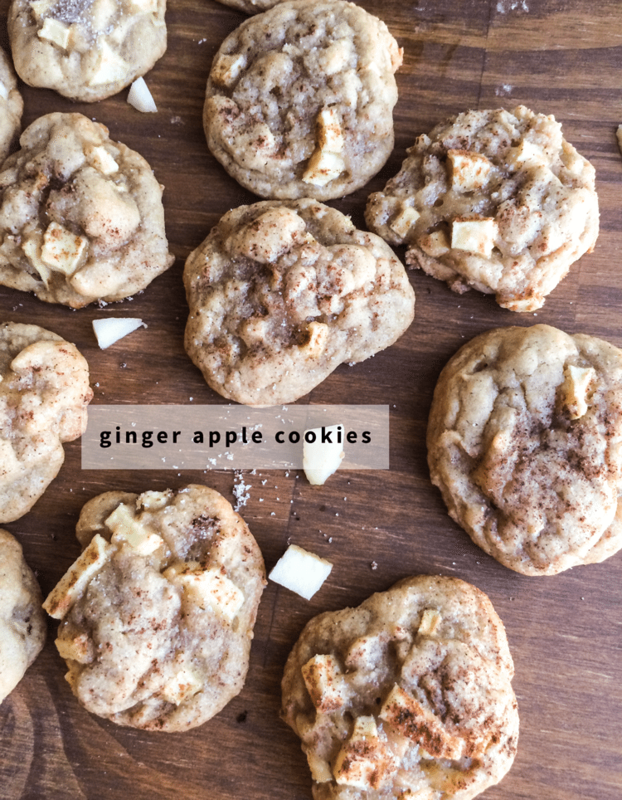 These Cinnamon Apple Cookies with ginger are a warm, cozy, and perfect fall cookie recipe (more cookie recipe ideas are at the bottom of this post, if you are looking). But the best part of these is really that the star of the cookies is apple. That’s kind of rare in a cookie. 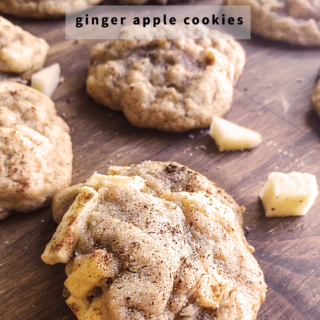 Ginger and apple are two of my absolute favorite ingredients in fall recipes. They just make me think of crunching leaves and crisp mornings. Add in a bit of cinnamon and you just can’t put these down. Ever. My son Levi’s favorite cookie is my soft Ginger cookies. He’ll eat those by the pocketful if I let him. And yes, he has been known to try to fill his pockets without detection! The recipe below is similar to my traditional Ginger cookies adapted a bit to make allowances for the liquid that chopped apples add to the dough. I know that adding apples doesn’t make these healthy, but it does make me feel at least a bit better about making them! I am a giant fan of Granny Smith apples but use YOUR favorite. If you choose an apple with a less-than-crunchy skin…peel it before chopping. And better yet…head out to a local apple orchard and pick the apples for your cookies! Nothing beats picking your own apples. Other than eating them, that is! Beat sugars, butter, and egg together. Add flours, spices, and baking soda. Beat together. Roll into balls 1-2 inches in diameter. Bake for 12-14 minutes on 350 degrees. Sprinkle with sugar and cinnamon while warm, if desired. These are best the next day! the ginger and cloves… do you use ground? I was just wondering with the ingredients list… is it a 1/4 cup butter AND 4 tablespoons or just the 1/4cup butter (which actually is 4tblspn). Just double checking before we start. Oh gosh, thanks for letting me know! It is 1/4 cup AND 4 tablespoons which is… 1/2 cup. Why on earth it doesn’t just say 1/2 cup I have no idea. Thanks much! I made these yesterday –people loved them! The only thing I wondered about was if you’re supposed to put them in the oven in the ball shape or if you supposed to flatten them after you form them into balls. I baked them in slightly less time. Also the quantity is not mentioned. One recipe makes just over a dozen. Thanks for clarifying the recipe. I don’t always put the amount on cookie recipes because I find it varies depending on how large people like to make theirs. I should though. I rarely flatten them. But, when I do it’s usually with a cup that I have dipped the bottom into sugar. Yum! These sound perfect for fall along with my pumpkin spice latte. Yummy!! mmmm, that sounds amazing!! We like that plan! Oh! Too lovely. 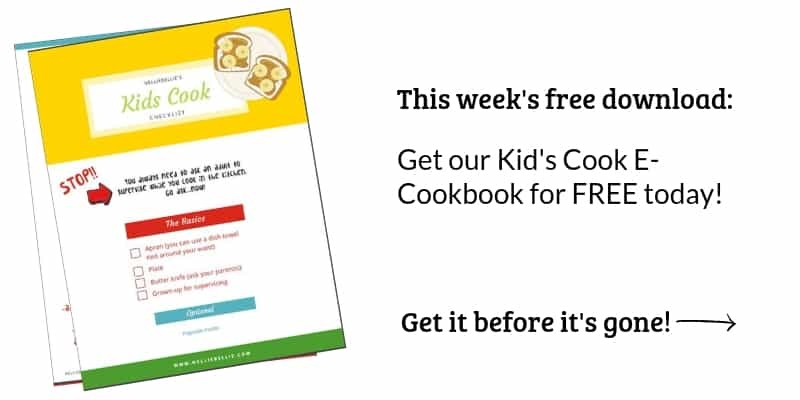 Small one will love these in her lunchbox.